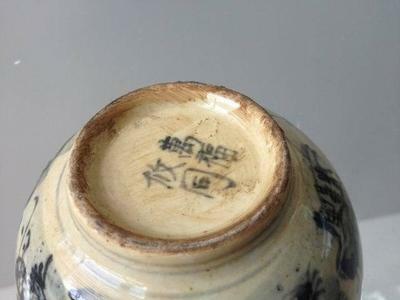 The mark "Wanfu Youtong" is a Ming dynasty mark, but without hands-on inspection I am unable to be sure about this. I have doubts about the bottom, especially the dirty appearance. It doesn't look like the age old dirt of an excavated item. The other problem is the shiny glaze. 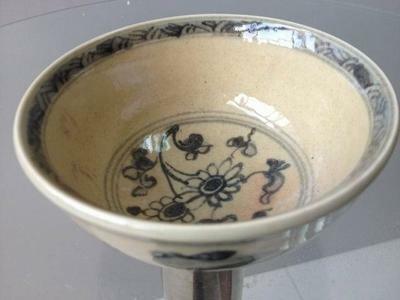 A Ming item glaze should not be reflective to a degree that it is possible to see windows, objects, ets. reflected in its glaze. 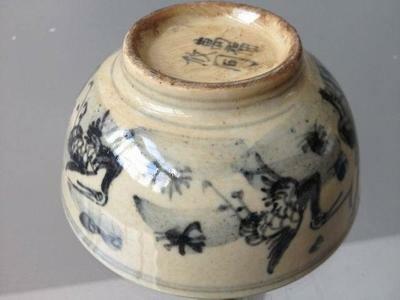 The first picture looks as if there is a transparent glaze that is not going down to the foot rim. If that is right, then it means that was added later. The glaze farther down on the foot rim looks like an original glaze. Again an item that was modified to increase its perceived value, it seems.